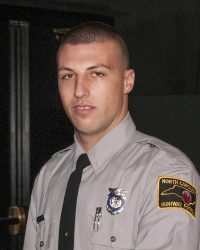 Yadkin County- As part of a continued investigation involving the May 21st, 2018 death of North Carolina Trooper Samuel N. Bullard during a vehicle pursuit in Yadkin County, additional charges have been filed. After consultation with the Yadkin County District Attorney’s Office and presenting their office with further findings related to Trooper Bullard’s death and the actions thereafter, the following additional charges have been made. Ms. Harrison received a $250,000 bond, while Ms. Mullins received a $100,000 bond. Both Ms. Harrison and Ms. Mullins were served with the charges at the Yadkin County Detention Center, while Mr. Whitt will be served at a later time.